Beat in egg yolk. Add corn flour and mix well. Bake at 180 deg. For 15 – 20 mins. 1. Use a butterfly biscuit cutter. Use a straw to make holes a bake. Thread a ribbon through after the biscuit bakes. These are the antennae. Use sweets for other details. 2. 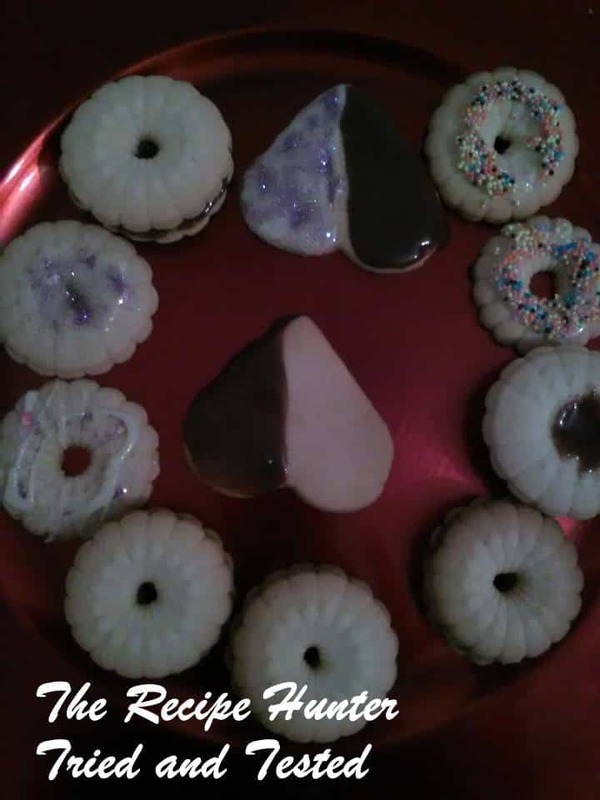 Use glace icing to coat the biscuits. Maybe write little words on them. 3. Colour the dough in three different colours. Roll out and stack them then roll them up. Slice like a swiss roll and bake. Dip the sides in chocolate and roll in sprinkles. 5. Cut any shape of your choice and insert a wooden skewer in at the bottom before baking. Make sure it isnt sharp.